Dr. BRUNO KOLB is an internationally recognized expert on gas chromatography. Until his retirement in 1996, he managed the GC Applications Laboratory at Perkin-Elmer Corporation, Germany; he has also been involved in instrument development with special emphasis on specific detectors. He has been a guest lecturer at the University of Konstanz, as well as at international meetings. He has published many journal articles and book chapters, and is the author of a textbook on gas chromatography. Dr. LESLIE S. ETTRE was a senior scientist at Perkin-Elmer Corporation until his retirement in 1990. Between 1988 and 1995 he served as an adjunct professor in the Department of Chemical Engineering at Yale University, and from 1995 until 2004 he continued his association with the school as a research affiliate. In addition to lecturing widely in the field of gas chromatography, Dr. Ettre has published over 200 scientific and technical papers, and is the author and editor of numerous books, including Encyclopedia of Industrial Chemical Analysis. He has received numerous awards, including the National Award in Chromatography of the American Chemical Society and the AJP Martin Award of the Chromatographic Society—the highest honors in the United States and Europe, respectively. 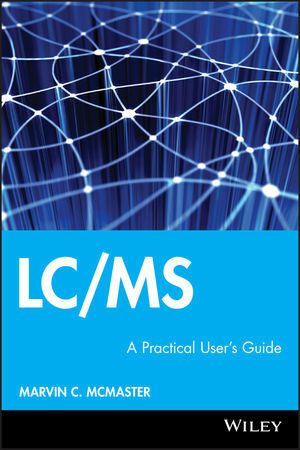 List of Acronyms and Symbols. 1.1 Principles of headspace analysis . 1.2 Types of headspace analysis. 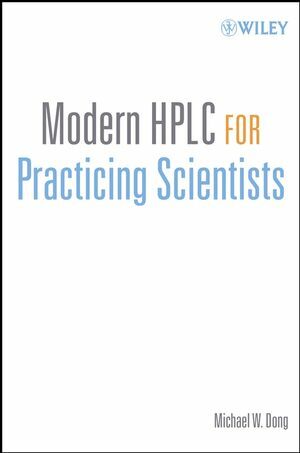 1.2.1 Principles of static headspace - gas chromatography (HS-GC). 1.2.2 Principles of dynamic headspace -- gas chromatography. 1.3 The evolution of the HS-GC methods. 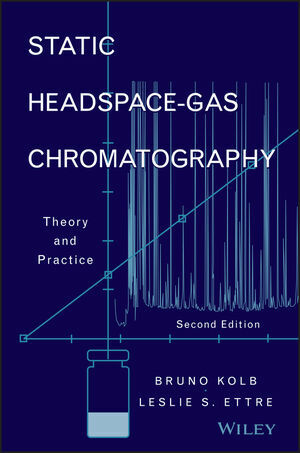 1.4 Headspace -- gas chromatography literature. 1.5 Regulatory methods utilizing (static) HS-GC. 2. Theoretical background of HS-GC and its applications. 2.1 Basic theory of headspace analysis. 2.3.1 Influence of temperature on vapor pressure and partition coefficient. 2.3.2 Influence of temperature on headspace sensitivity for compounds with differing partition coefficients. 2.3.3 Influence of sample volume on headspace sensitivity for compounds with differing partition coefficients. 2.3.4 Changing the sample matrix by varying the activity coefficient. 2.6 Multiple headspace extraction (MHE). 2.6.2 Theoretical background of MHE. 3. The technique of HS-GC. 3.1.2 Selection of vial volume. 3.3.3 Should a septum be pierced twice?. 3.5 The fundamentals of headspace sampling systems. 3.5.1 Systems using gas syringes. 3.5.2.1 Comparison of the sensitivities in HS-SPME and direct static HS-GC. 3.5.5 Conditions for pressurization systems. 3.5.6 The volume of the headspace sample. 3.5.6.1 Sample volume with gas syringes. 3.5.6.2 Sample volume with loop systems. 3.5.6.3 Sample volume with the balanced-pressure system. 3.6 Use of open-tubular (capillary) columns. 3.6.1 Properties of open-tubular columns for gas samples. 3.6.2 Headspace sampling with split or spitless?. 3.6.3 Comparison of split- and splitless headspace sampling. 3.6.4 Band broadening during sample introduction. 3.6.5 Temperature influence on band broadening. 3.6.6 The combination of different columns and detectors. 3.7 Enrichment techniques in HS-GC. 3.7.1 Systems for cryogenic trapping. 3.7.1.1 Systems for Cryogenic condensation. 3.7.1.2 Trapping by cryogenic focusing. 3.7.1.3 Influence of temperature on cryogenic focusing. 3.7.1.4 Comparison of the various techniques of cryogenic trapping. 3.7.2 Influence of water in cryogenic HS-GC. 3.7.2.1 Water removal in static HS-GC. 3.7.3.1 Water removal from an adsorption trap. 3.8 Special techniques with the balanced-pressure systems. 3.9.1 Derivatization in the headspace vial. 3.9.4 HS-GC analysis of volatile derivatives from inorganic compounds. 4. Sample handling in HS-GC. 4.3 Sample handling and sample introduction. 4.4 Preparation of standard solutions. 4.4.1 Preparation of a standard solution from a liquid or solid substance. 4.4.2 Preparation of a standard solution from a gaseous compound. 4.5 Influence of the matrix. 4.5.1 Clean matrix is available. 4.5.2 Matric effect can be eliminated. 4.5.3 Artificial matrix can be prepared. 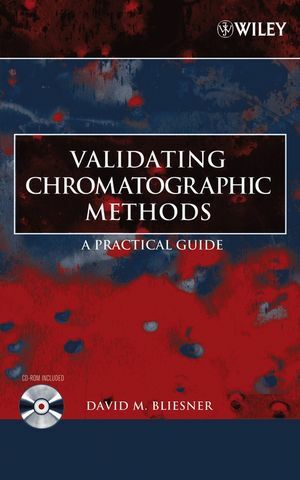 4.6 Methods aiming the complete evaporation of the analyte. 4.6.1 The total vaporization technique (TVT). 4.6.2 The full evaporation technique (FET). 4.6.3 Calculation of the extraction yield in FET. 4.6.4 Comparison of headspace sensitivities. 5. Headspace methods for quantitative analysis. 5.4.2 Handling of the added standard (Gas-phase addition and sample-phase addition). 5.4.3 Determination by multiple additions. 5.5 Multiple headspace extraction (MHE). 5.5.3 The use of gaseous external standards in MHE. 5.5.4 The role of quotient Q. 5.5.4.1 Relationship between Q and pressures. 5.5.4.2 Value of Q in the case of total vaporization. 5.5.4.3 The relative position of the MHE plots as a function of Q. 5.5.5 The correlation coefficient (r). 5.5.6 Evaluation of the shape of the regression plot. 5.6 Analysis of solid samples (adsorption systems). 5.7 Calibration techniques with headspace samples of varying volumes. 5.8 Analysis of gas samples. 6. Method development in HS-GC. 6.2 Determination of the residual monomer content of polystyrene pellets. 6.2.1 First approach: use of internal standard with MHE. 6.2.2 Second approach: single determination with internal standard. 6.2.3 Third approach: use of external standard with MHE. 6.2.4 Fourth approach: use of the solution approach. 6.3 Determination of residual solvents in a printed plastic film. 6.3.1 First approach: use of external standard with MHE. 6.3.2 Second approach: use of standard addition with MHE. 6.3.3 Third approach: use of internal standard. 6.4 Determination of the volatile constituents of a cathodic electrolytic plating bath. 6.4.1 First approach: use of external standard with MHE. 6.4.2 Second approach: dilution and use of external standard. 7. Nonequilibrium static headspace analysis. 8. Qualitative analysis by HS-GC. 8.1 The use of HS-GC in ‘fingerprinting.’. 8.2 The use of headspace sampling in hyphenated systems. 8.3 The use of HS-GC in microbiology. 9.1 Determination of vapor pressures. 9.2 Determination of activity coefficients. 9.3 Determination of related physicochemical functions. 9.4 Determination of phase distribution (partition coefficient). 9.4.1 The vapor-phase calibration (VPC) method. 9.4.2 The phase-ratio variation (PRV) method. 9.4.3 MHE methods for the determination of the partition coefficient. 9.6 Determination of solute solubility by MHE. 9.7.1 Determination of adsorption isotherms. 9.7.2 Determination of the rate of release of a volatile analyte. 9.8 Validation of the headspace instrumentation: investigation of detector linearity and detection limit. 9.8.2 Linear range of the detector. 9.8.3 Precision of the range.